I just LOVE it when successful companies give back and Naartjie is one of those companies. 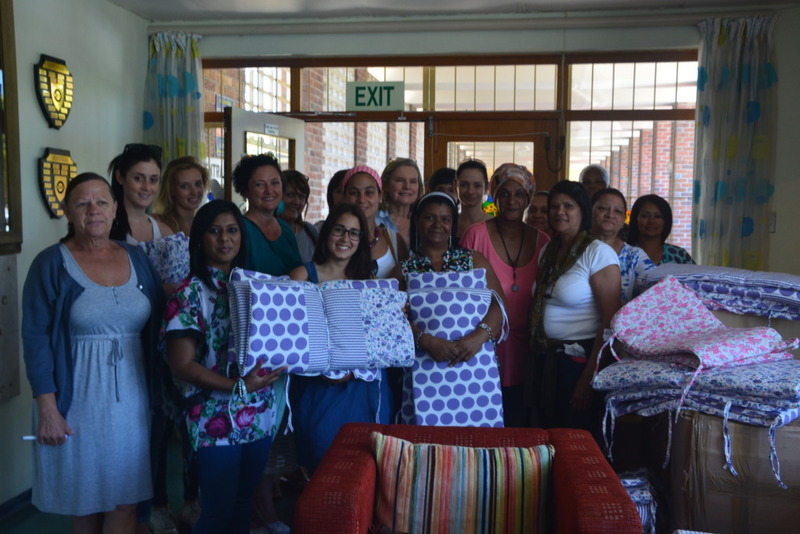 The Naartjie Love Foundation recently visited St Joseph’s Home for Chronically Ill Children in Montana, Cape Town, to donate 60 cot duvets and bumpers to be used in the organisation’s baby ward. St Joseph’s Home (SJH) acts as a bridge between hospital and home, offering holistic healthcare to children from disadvantaged backgrounds, and empowering families to look after their children’s health and improve their quality of life. 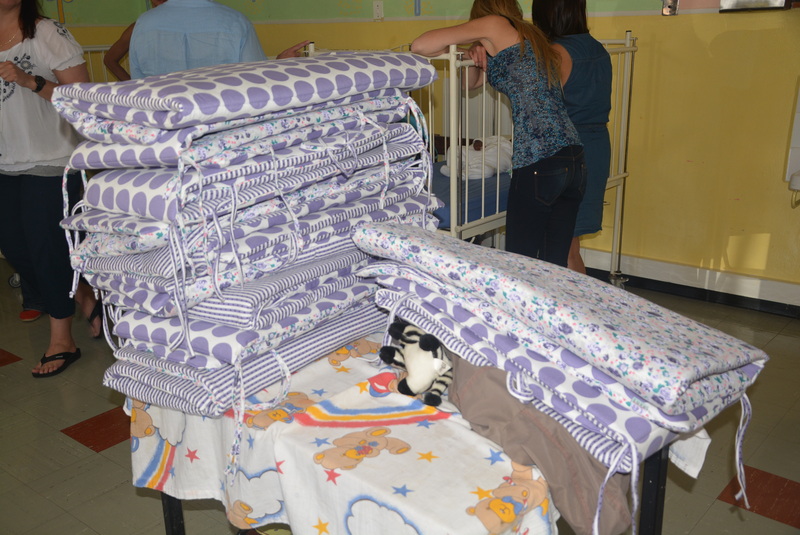 Naartjie Kids is no stranger to the children of St Joseph’s, as the Naartjie Love Foundation also visited in June of this year, bringing 60 bright and cheerful cotton quilts to help stave off winter chills. 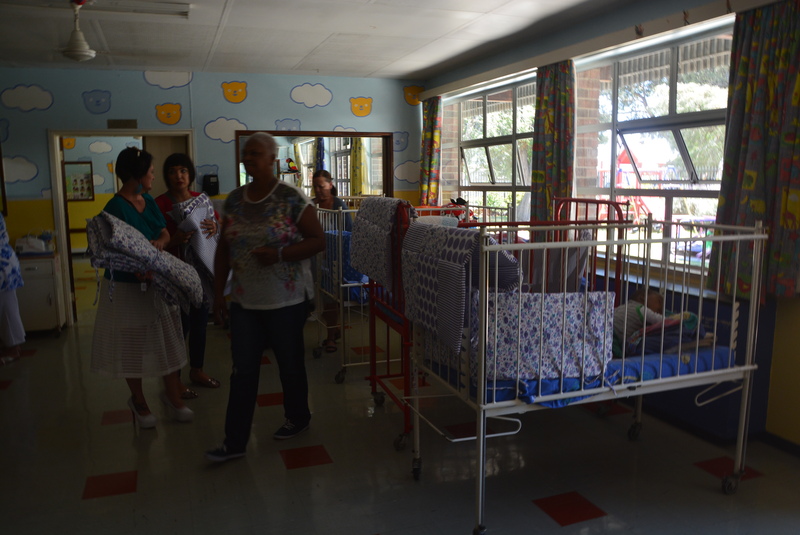 “This time the Love Foundation couldn’t wait to pop in and see St Joseph’s tiniest residents in the baby ward”, said Esperanza Nortje, Marketing Manager of Naartjie Kids. “Every visit to St Joseph’s is a treat for us and our staff are always eager to get involved. 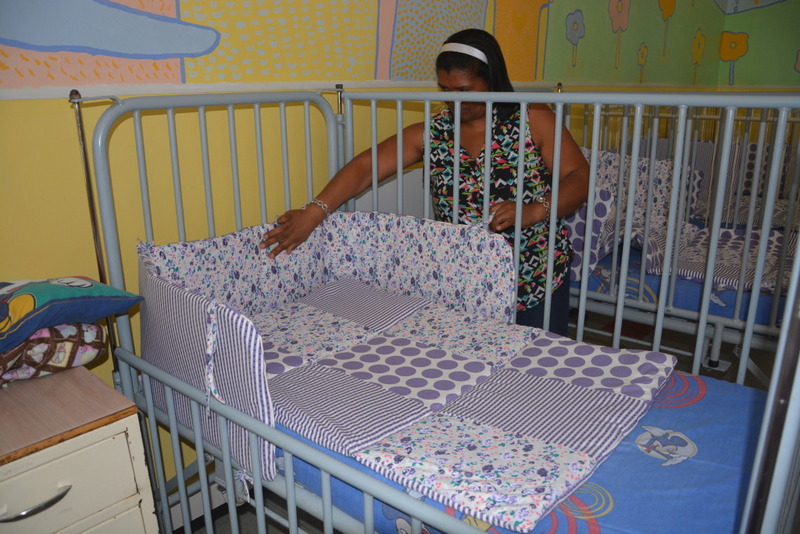 This time we had a large group of volunteers to assist in making the baby ward look extra special. No doubt, we’ll be back soon!” she said. Founded in 1935 by the Pallottine Missionary Sisters, with the objective of assisting children affected by the Great Depression, SJH today gives nearly 300 children a year a safe place to undergo treatment and heal. Patients at SJH are mainly referred from hospitals such as the Red Cross Children’s, Tygerberg and Groote Schuur Hospitals. In September of this year St Joseph’s launched a R36 million building and renovations project that will take place over the next three years, thanks to the support of a generous oversees donation. The renovations will include the upgrade of five existing wards, the establishment of a therapeutic hub and a family/visitors’ area, the upgrade of the nurses’ home and the reception/admin area. Ward gardens and certain outside areas will also be landscaped. 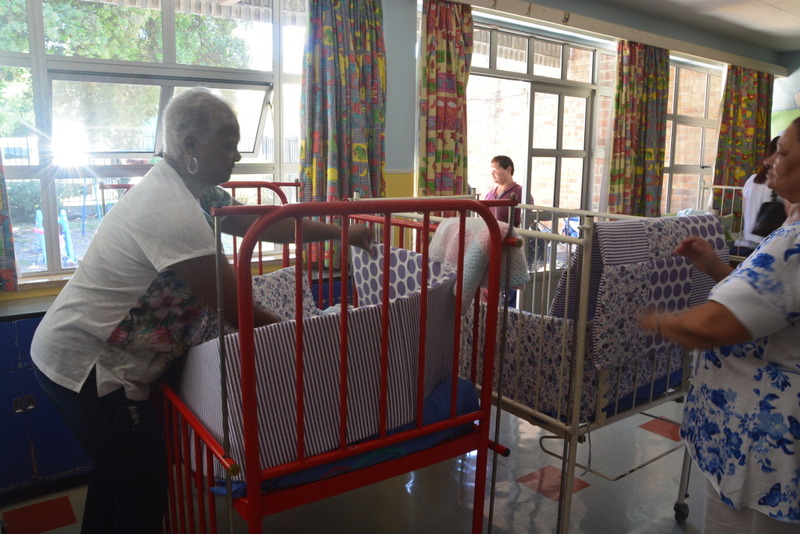 While St Joseph’s is partly subsidised by the Department of Health, the organisation has an annual shortfall of R5 million, and is in need of assistance in the form of donations and volunteers. Visit www.stjosephshome.org.za to find out how you can help. The Naartjie Love Foundation is dedicated to improving the quality of life of children from disadvantaged communities throughout South Africa. Their mission is to bring lasting and positive change to these children with the emphasis on their primary needs, including their absolute safety, and on their education and loving care. 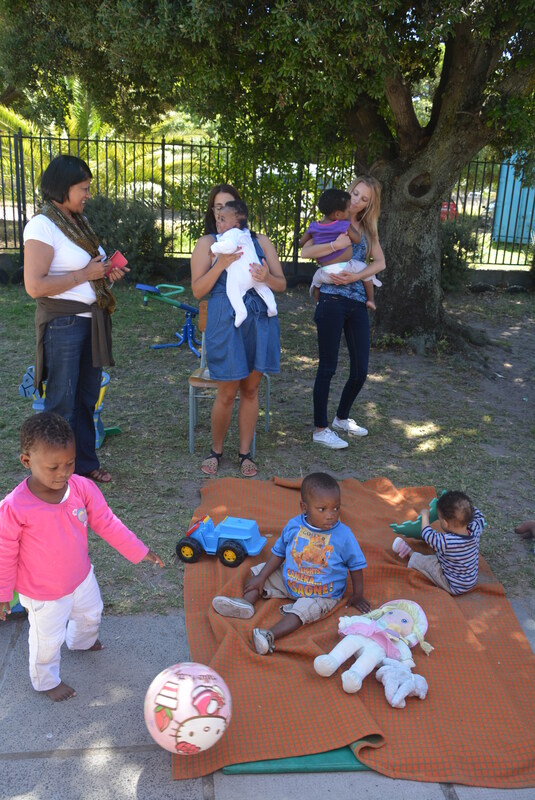 They hope that the children touched by the Naartjie Love Foundation’s efforts will regain a sense of self-worth and in turn enjoy a brighter future. ← Thank you to our supporters – our 100 packs have been pledged! !